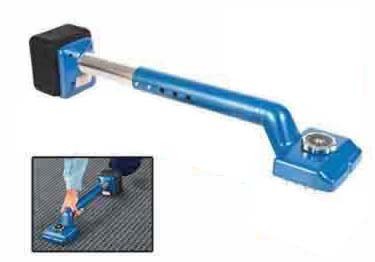 Make carpet installation easier with Crain Knee Kickers. Excellent for use in installing carpet on stairs as well as carpet room installations. Knees feeling the strain of carpet installation? Check out Crain Comfort Knee Pads specifically designed for carpet installers. Recessed trigger provides length adjustment in 5 settings from 17-3/4" to 21-3/4". Double buttons provide 4 Length adjustments from 21" to 25"
Recessed trigger provides length adjustment in 5 settings from 18-1/2" to 22-1/2".